At Southpointe Dental in Red Deer, we use white bonded fillings to restore your teeth. Metal fillings are commonly used to restore decayed or damaged teeth that do not blend in naturally with your teeth. 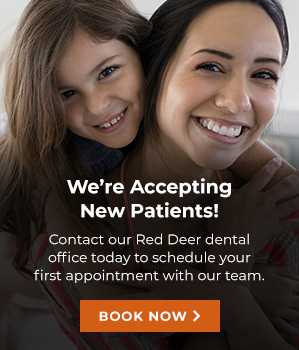 Our dentists in Red Deer provide a treatment with white bonded fillings which use a composite resin to restore teeth. The tooth-coloured composite restoration is made of glass particles and plastics, which results in a strong material that when applied, strengthens the structure of the tooth. Since white bonded fillings are applied directly to the tooth, it can be applied in only one appointment. This process is also beneficial since it requires less drilling of the tooth. The dentist will first remove the decayed area from the tooth and thoroughly clean it. The composite material is then applied and bonded to it with an ultraviolet light. Once bonded, these fillings increase the strength and durability for the tooth.